Advanced Folders Watch watches the specified folder groups of Microsoft Outlook and Exchange Server, informs the user of new messages meeting certain selection criteria (filters). User notification can be passive or active. In the first instance, add-in creates posts in the specified folder, containing links to the messages found and message texts. In the second instance, the messages found are shown in a pop-up window with many features. RecoveryFix for Outlook is an advanced outlook PST repair tool that is used to repair damaged PST files. This tool engages itself in dealing with corruption issues that are often encountered while opening the PST file for any purpose. The corruption issue arises due to virus attack, sudden system shutdown and other technical abnormalities. To sort out such problems, you are highly recommended to use RecoveryFix for Outlook. Attachment management addin for Outlook to detach attachments and embedded images as files and link them up with the email. Reduce your Inbox size and make Outlook run much faster. Remove links and re-attach files back when required, or when replying or forwarding. Monitor any number of folders and mailboxes to automatically detach incoming emails, with no intervention. Optionally, skip detachment of certain attachments with specific extensions. 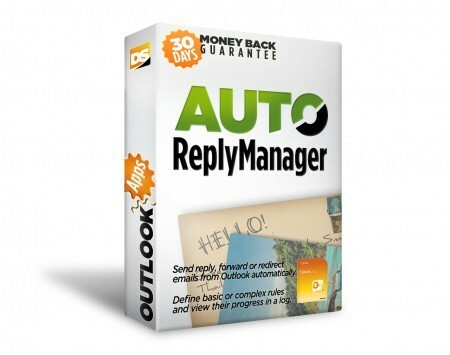 Auto Reply Manager for Outlook... email autoresponder for Outlook... quickly define Outlook reply rules and filters... auto email replies when out of office, on vacation or simply when you want to auto-confirm emails... send automated replies or forward received emails to a pre-selected email account... create personalised replies... smooth integration as an Outlook add-in.